Home » Does deep brain stimulation improve balance in people with Parkinson’s disease? Poor balance is common in people with Parkinson’s Disease (PD). This can significantly impact on quality of life. The ability to generate a step quickly and accurately after a loss of balance is critical to avoid falling. The most effective medical treatment for PD (levodopa) seems to offer no benefit to these balance responses (King et al. 2010). 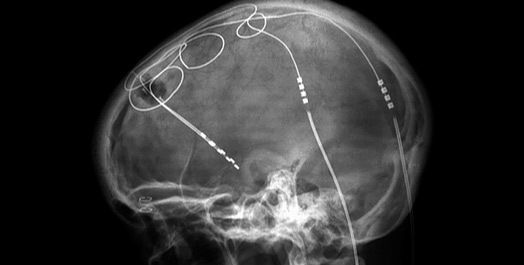 Deep Brain Stimulation (DBS) is an increasingly popular surgical therapy that involves implanting stimulating electrodes into the basal ganglia. 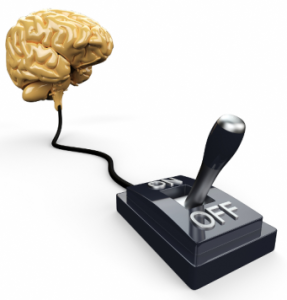 DBS acts like a pacemaker for the area of the brain that is disrupted in PD. DBS has been shown to have significant anti-parkinsonian effects that are superior to medical therapy by reducing tremor, slowness of movement and rigid joints (Weaver et al. 2012). However, there have been very few quantitative studies that test whether balance is improved by DBS. We studied stepping reactions when the standing surface unexpectedly translated in people with PD, before, and after DBS surgery. We further studied whether the location of the electrodes in the two most common surgical sites: the subthalamic nuclei (STN), or the globus pallidus interna (GPi), made any difference to the stepping response. DBS did not improve the compensatory step response in the GPi group and DBS caused delays in the preparation phase of the step in the STN group. This was a small study and further randomized controlled trials on the effects of DBS on other aspects of balance control are needed. However the results do suggest that people with PD should not undertake DBS surgery with the expectation their balance will be improved. If balance is of primary concern, the GPi location should be considered over the STN location. St George RJ, Carlson-Kuhta P, King LA, Burchiel KJ, Horak FB (2015). Compensatory stepping in Parkinson’s Disease is still a problem after Deep Brain Stimulation randomized to STN or GPi. J Neurophysiol, in press. King LA, St George RJ, Carlson-Kuhta P, Nutt JG, Horak FB (2010). Preparation for compensatory forward stepping in Parkinson’s disease. Arch Phys Med Rehabil 91: 1332-1338. Weaver FM, Follett KA, Stern M, Luo P, Harris CL, Hur K, Marks WJ, Jr., Rothlind J, Sagher O, Moy C, Pahwa R, Burchiel K, Hogarth P, Lai EC, Duda JE, Holloway K, Samii A, Horn S, Bronstein JM, Stoner G, Starr PA, Simpson R, Baltuch G, De Salles A, Huang GD, Reda DJ (2012). Randomized trial of deep brain stimulation for Parkinson disease: thirty-six-month outcomes. Neurology 79: 55-65. ← Is the voluntary control of breathing the same as normal involuntary breathing?